Updated Wednesday January 30, 2019 by SLL. 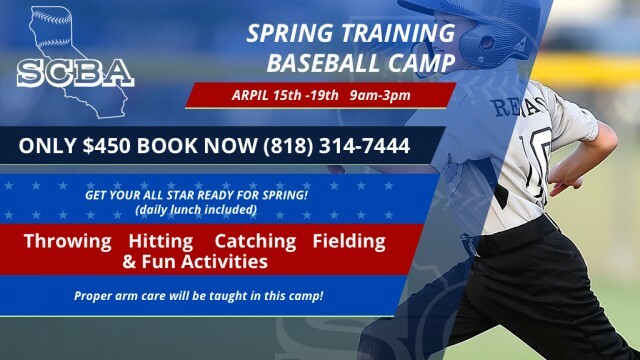 Mark your calendars, SCBA is offering a spring break baseball training camp for all ages. The camp will run from April 15th - 19th from 9am-3pm. Lunch is included, but they recommend your player bring snacks. The camp will cover all aspects of the game, include fun activities, and teach proper arm care. Please contact SCBA for more details or to sign up.